Originally from British Columbia, Vineeta came to Toronto to study dental hygiene. After graduation she worked in several dental offices before starting Word of Mouth Dentistry in 2012. 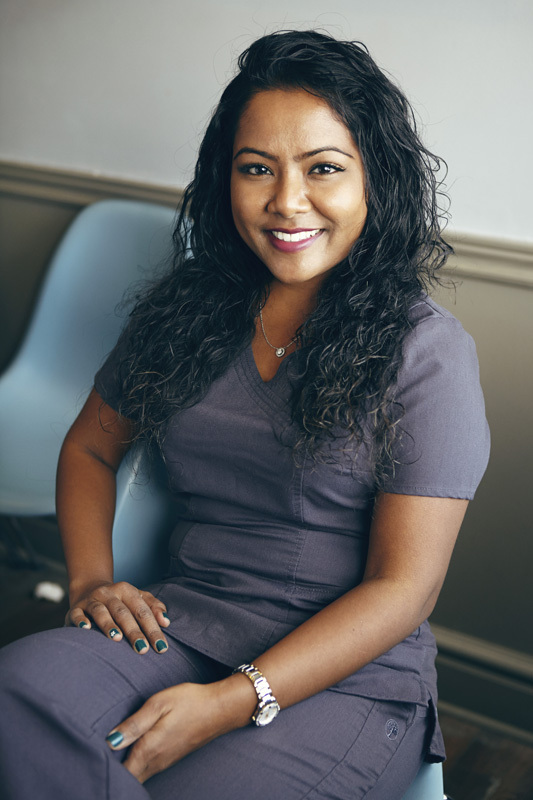 Vineeta enjoys working with the entire team to provide the best possible care for her patients, including taking intraoral photos, blood pressure readings and regular oral cancer screenings. Vineeta remains current with today’s evolving dentistry through continuing education courses. With a passion for culinary arts, she loves to cook and try different cultural cuisines. She also loves travelling, yoga, badminton, jazz and is currently learning to play the piano. Oh… and of course, she is obsessed with flossing!